This pack design project was completed during my time at Holmes & Marchant in Marlow quite a few years ago. Not to blow my own trumpet too much, I produced the majority of the creative work which won H&M the Unilever Domestos account. Although I am long gone from Holmes & Marchant they still hold the account. Next project the Global re-design of the branding and packaging for Domestos. In addition the European sister products Klinex (Greece), Glorix (Netherlands) and Lyso-Form (Italy). The pack designs may have evolved over the years. The brand identity I created is still working in Bathrooms around the globe! 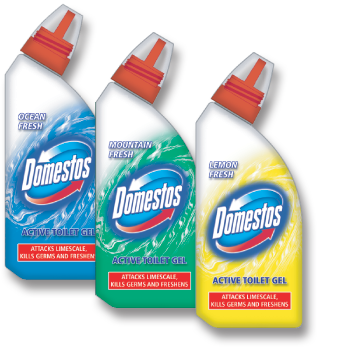 The packaging design for Domestos Active Toilet Gel was a first for the hygiene sector in that the bottle featured a shrink-wrap label. Previously the label area had been very small and lacked space for branding and design elements. The new shrink-wrap packaging won Holmes & Marchant a packaging innovation award. The technique became the norm in many different packaging areas. 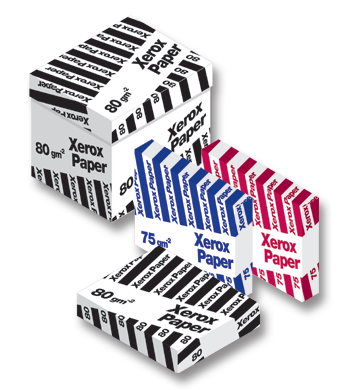 The re-design of the entire range of Xerox paper products required a repeat design. This would adapt to the different depths of pack due to the different paper weights. Furthermore, the design also had to work with just one colour. The final concept was applied to all A3 & A4 products along with ream outers. Whilst developing the designs, the concepts where created on scaled down versions of the packs. A5 reams and outers where made up to check how the repeat design would work. Differing thicknesses of paper ream and small cartons where made up to test the outers. Xerox loved these so much that they decided to turned the idea into paper samples for all of their sales force. Each carton had 5 different sample pads. The brief from Fazer Confectionery was to develop a new brand identity, building on the existing typeface and brand values. To strengthen the identity creating a flexible branding system capable of functioning at high, mid and low levels of endorsement. Three versions were created, the first for corporate and premium brand usage, the second for the majority of brands within the range, printed predominately flexo and finally a version without the hanging tab for use on small cartons. 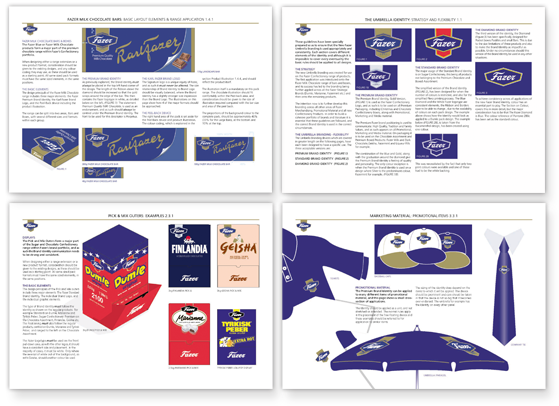 After the packaging redesign of the range of 350 products, an extensive set of Design Implementation Guidelines were produced to ensure any new products or ranges fitted into the new Umbrella Branding System.